When we look back at the 2017-18 Curling Season in another 5, 10 or 20 years, it may be remembered as a major turning point, leading to dramatic changes in the sport. The debut of mixed doubles at the PyeongChang Olympics could draw new fans to watch and possibly even try on a slider and start-up the game as well. Gold medals for Canada’s John Morris and Kaitlyn Lawes in the Olympic Mixed Doubles, despite having joined forces only weeks before, showed that talent and experience in big moments outweighed the specialized skills of other countries at the new discipline. It will be interesting to see if players will continue to specialize in mixed doubles or if high performance curlers will pursue both versions of the sport. The other Olympic curling result for Canada may bring dramatic changes to the qualification process. Failure to medal will lead those who run Own the Podium to question if Curling Canada should change the process to determine its representative every four years. Canada has been inclusive, with many teams receiving funding and allowing multiple paths to qualify through competition rather than selection. We won’t likely see Canada hand pick teams in 2022, but could there be a reduction in teams at the next Trials? John Shuster’s Olympic Gold medal could lead to further expansion of the game in the Unites States. We could see increased funding and TV exposure and greater sponsorship move the sport even further to professional status. Jamie Sinclair’s win at the Players Championship may not have reached the same audience, but the first ever Grand Slam win for a US team will help curling grow and, along with Anna Hasselborg’s gold medal, perhaps change how teams think about the game. Team Hasselborg raised their play over the last couple of years, winning the Gold medal for Sweden in South Korea. Jamie Sinclair reached new levels in a matter of months, going 6-2 at the Players, against teams in which they previously had a 3 and 32 record. Both teams (and Shuster as well) have revealed that their success came with some contribution of using analytics. This past season may be remembered as the one where curling with math moved from novelty to strategic weapon. Let’s look at how we got here, what happened this past season, and what we might see in the future. In the ninth end of the 2005 Brier finals, five-time champion Randy Ferbey faced a decision. Tied 4-4 with hammer against Shawn Adams of Nova Scotia, the Ferbey Four were sitting shot at the back of the eight foot with no other rocks in play. Randy and fourth thrower David Nedohin discussed their options. In this situation, Randy and Dave guessed that Adams may not simply surrender a deuce, but instead try a freeze, attempting to limit them to a single if successful, at the risk of Team Ferbey scoring three points. One year earlier, they were two up in the final end against another team from the Bluenose province, skipped by Mark Dacey. Nova Scotia had beaten them with a score of three in the final frame, thwarting the Alberta team's chances of winning an unprecedented four Briers in a row. That 2004 loss, combined with their confidence in David's ability to draw the button on his final shot, led them to a very strange call. They took out their own rock. My first reaction was, like many, shock. My next thought was “what would Bill James think?”. Twenty years earlier, as a pimpled teen running my own fantasy baseball league, I had stumbled across a book called the Baseball Abstract. As he did for many others, Bill James transformed the way I thought about baseball and statistics. Before the 2005 Brier, I had recently read Moneyball, the 2003 Michael Lewis book about Billy Beane, the Oakland Athletics, and analytics. Reading Moneyball had jarred my memory of those Abstracts and the way Bill challenged his readers to think differently about sports. My next step was to search the internet and it led me right to CurlingZone. I lived in Calgary at the time, as did the website’s co-founder Dallas Bittle, who then introduced me to Gerry Geurts. Dallas and Gerry were, like me, disciples of Bill James. The first release of their Black Book of Curling included new statistics (Hammer Efficiency, Force Efficiency, Steal Efficiency and Steal Defense Efficiency) and results from the 2004/05 Season. CurlingZone had collected line scores of most every meaningful game from previous years. Lifting a concept from baseball, I took this data pool and created a Win Expectancy chart. In baseball, you can determine the odds of winning during each static position in a game. Based on the inning, score, number of outs and runner(s) on base, a team will have an expected chance to win the game. With curling, there were limitations, but at least we could determine some chance of winning based on the score and the number of ends remaining. The second edition of the Black Book of Curling in 2006 included articles from me and Gerry, using the results from these charts. Gerry examined 1 up without hammer in the last end and I dove into the legendary Ferbey take-out from the same 2005 Brier final that had launched the idea in the first place. Don “Buckets” Flemming was a sports writer from Edmonton who focused on horse racing and curling after the Edmonton Flyers hockey team folded in 1962. Don brought his interest in numbers and math from the horse track to the rink. Shooting percentages and the 4-point system were born. Larry Wood, then covering curling for the Herald in Calgary, had devised a similar 3-point system around the same time. Larry mentioned to me he and Don used their own systems, and often had a similar result. They shared their ideas, with Larry bringing the actual perspective of a curler and Don of a handicapper. Calculating shot percentages, Larry surmised, was also a wonderful way to stay focused on the game and avoid tipping too many beverages in the lounge. On August 1st 2006, Don Flemming passed away. Over four decades after its creation, the four-point system, still the standard for curling statistics, had out-lived its founder. Dallas and Gerry attempted to improve on its design and in the 2006 edition of the Black Book revealed Shot Tracker Shooting Statistics. Built on a similar point system, they added sweep factor and a degree of difficulty modifier. Before, a team that played conservative and attempted simple shots would have higher percentages than those with a more aggressive strategy. Now teams could be compared more closely, regardless of their own ice strategy. With Moneyball released in 2003 and the Black Book in 2005 and 2006, you might imagine curling went through a historic transformation, with teams clamoring for this new information and adjusting their preparation and in-game strategy to align with these findings. Not quite. Canadian Curlers are generally a conservative bunch. Push brooms had been in existence for 100 years in Europe, but it took a long-haired junior with plaid pants to show Canadians that the corn broom was a less effective device. Beginning with their early use in Calgary, the full transition for Canadians from corn to push brooms took over a decade. The single sweeper technique unveiled in 2015 was available 40 years earlier, but curlers never figured it out. When the world embraced the four-rock free guard zone in 1993, Canada held tight. A year later, we dipped our foot in with the three-rock rule, and many older players still grumbled it wasn’t needed. Ten years later, Canada finally aligned with the world and moved to four rocks. With the rich curling history of staying squarely in the past, is it any surprise analytics would take some time to catch on? The third release of the Black Book of Curling in 2007 would be its last, but the work was just beginning. Around this time, blogging under Curl With Math became my outlet to write a Bill James version of curling analysis. The small group of followers were loyal, but the dismal add revenue amounted to an extra cup of coffee each season. 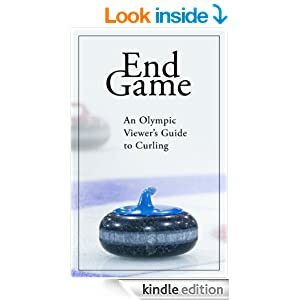 In 2013 I released an e-book, End Game: An Olympic Viewer’s Guide to Curling, which was a collection of articles with additional information (thanks if you paid for a copy). Other than the realization 1 up (without hammer) was better than 1 down (with) in the last end, only a few players took a passing interest. One exception, a young underdog skip at the Canada Olympic Trials in 2009 by the name of Jason Gunnlaugson. You might have heard him spewing numbers on mic over timeouts while playing fifth for Brendan Bottcher at the 2017 Olympic Trials, or during a recent Grand Slam, referencing Kevin Koe’s success in the final end when tied. His approach against Mike McEwen in the 2018 Brier Wild Card game, leading to a narrow extra end loss, was a prime example of great execution matched with a data derived strategy. Gerry eventually built a presentation around these new statistics and concepts, and evangelized with anyone who would listen. Scott Higgins of the USA High Performance program had seen the Black Book and invited Gerry down in the summer of 2009. Though there was some mild interest, teams rejected the analysis as a tool to compete. In some instances, the stats were examined to identify why a team lost, rather than help them win. Gerry had the coaches support, but ultimately the teams and their skips did not see much benefit. Several showed some interest in the reports Gerry was generating, but did not demonstrably alter their approach to the game or use as a tool to prepare for their opposition. Following the 2010 Olympics, Gerry coached Matt Hames (joined at lead by podcast legend Dean Gemmell) on their way to a 6-3 record and play-offs at US Nationals. During the event there were some numbers used in preparing for each opponent, and it helped guide their play in the opening ends. This was the first instance for Gerry of teams using the numbers to prepare for opponents. After 2010, Gerry continued to provide reports to the US program, but it wasn’t until 2016 that he would again test the use of analytics directly with a team. Jacqueline Harrison had him assist with strategy for the 5-rock rule and determine where they needed to improve. Ultimately, Gerry helped them recognize the importance of planned aggression, particularly against a stronger squad like Team Homan. Team Harrison had (to date) their best season in 2016-17. It started with a win in the Tour Challenge Tier 2 event, and a Quarterfinal appearance at the Canadian Open, including two wins over Homan. Their best result was in the 2017 Champions Cup. They faced Team Hasselborg in the semifinal, a team Gerry had also started working with around the same time. The Moneyball-Bowl ended in a 7-2 win for the Swedes on their way to a 5-4 loss to Homan in the finals. Team Hasselborg retained Gerry’s services over this past season, leading into the Olympics. Gerry provided scouting reports with situational analysis for their competition, showing how teams performed during various scoreboard situations (up 1 or down 2, etc.). Following their Olympic Gold medal, Sweden coach Maria Prytz was quoted on working with Gerry. “He is incredibly skilled at tactics and numbers so he can look at different teams and explain how they play in different modes. It has been worthwhile for me to raise different scenarios for the team”. Maria explained that when she and the team started working together, they first looked at their own game plan, "Then we started thinking about how we could take another step in tactics and start matching our game with the opponents,"
Jamie Sinclair saw Hasselborg’s success and engaged Jason Gunnlaugson to provide analytics consulting for her team. Using Gerry’s data and reports, Jason worked with them prior to the women’s Worlds in North Bay. They narrowly lost a Bronze medal when Russia’s Victoria Moiseeva took two in the final end, but her breakout victory at the Players Championship in Toronto, and her quotes on working with analytics, has opened more eyes to what using numbers can do for a team. Let’s be clear. I’m not suggesting these teams studied a few statistics and then flipped a switch, turning from also-rans into champions. Analytics in sports is a guiding tool that can be leveraged for many uses, but execution and performance are ultimately what determine the outcome. Three-point shooting in the NBA is now the norm, but Lebron James is still the best player and the Golden State Warriors win with sound team defense and exceptional skill from some of the most talented players in the league, not simply because they jack up shots from beyond the arc. Curling data currently available is limited to line scores (and shooting percentages) and can be susceptible to error, based on results from mismatched teams, or misinterpreted when putting too much emphasis on small sample sizes. Teams can examine their opponent’s tendencies and plan their attack. For example, Sweden was very aggressive against Canada but very conservative versus China. There is always danger in drawing too much from inconclusive information however, and ultimately Hasselborg’s strong play may have led to wins in both cases regardless of their approach. But in a game often decided by inches, every tool a team uses can help make a difference. Gerry and Jason found that the use of the statistics has been a benefit to teams simply by forcing an open dialogue amongst the players and improving pre-game planning. A team can use this information to confirm what they are seeing from another team or help highlight a hole in their game they may not have noticed. Essentially, they use it as a tool to talk about themselves, their opponents, and how to approach the game. Data can provide a solid base for teams to come to agreement on why they might make certain decisions, remove doubt during a game and improve performance. Rather than the second sitting in the hack questioning in her mind the skip's decisions, she is focused on the shot, having already reviewed the team goals and strategy in advance. The idea of game planning in curling is less developed than many might suspect. Traditionally, skips ruled their teams like a drill sergeant and players were rarely asked for their opinion. Years ago, pre-game warm-up might be held in the lounge with a brief chat over a cold beverage. Teams have begun to spend time on preparing, but it can be dangerous to say, “we’re going to be a more aggressive team” without looking at data to understand how aggressive and in what situation. Gerry noticed one team that had great statistics when playing without hammer but in attempting to become more aggressive with last rock, their defensive play suffered and they dropped in the rankings as a result. The application of strategic adjustments based on opponents is still in its infancy but these results this past season show what is possible. Curling is often called chess on ice. I doubt there are many grandmasters who use the same opening moves in every match. In football, a team builds a game plan during the week from watching film and studying their opponent. Why would curlers want to step on the ice expecting to play the same way every time? Rachel Homan’s coach Adam Kingsbury recognizes the benefits of analytics. Like Gerry, he believes it can benefit a team many ways, like reinforcing team principles on strategy, or recognizing your own strengths and weaknesses. Team Homan was not surprised that their opponents took an overly aggressive strategy in PyeongChang. They were prepared for the onslaught of guards, freezes and come-arounds faced. Rachel generally has a consistent strategy against all opponents, usually forcing their style of play rather than adapting to their opponent. The challenge is when you don’t execute to your expected level, the other team can start to dictate the style of play. Adam suggested this was the case in the Olympics, with the difference coming down to perhaps five critical moments that swung the difference in qualifying for the medal round. It was through Adam that I heard about funding from Canadian Tire to assist Curling Canada in an analytics project. When we discussed this in spring of 2017, we were all excited by the potential to move curling analytics forward. From what I understand, it appears more work needs to be done. I’ve not seen what’s been built, but Adam described it as the same information that was generated from those Win Expectancy charts back in 2005, but with better graphics. Perhaps this is only Phase 1 of the project, and maybe they’ve built a potential analytics engine that will add value as it evolves. Understanding the funding model from Own the Podium and the delicate position of being responsible for Canadian teams, I respect why our governing body finds it necessary to keep the development a secret and limit those who have access. Imagine if Glenn Howard had used the system to gather data on our teams ahead of coaching in the Olympics for Team Muirhead? Sadly, it is this restrictive nature that limits the adoption of this analytics initiative. Holding onto this information until it’s revealed to the Trials winners two months before the Olympics ensured it would only be a minor novelty. A competitive team, particularly those who’ve excelled at the game without using analytics, is not going to introduce some new concept eight weeks before the most important event of their lives. I believe Curling Canada could have benefitted from engaging more outsiders in the original inception, including players and coaches to help develop something more valuable that would have become ingrained in a team’s preparation. I’m also a realist and this would likely have taken too much time, grown the scope beyond what the budget allowed, and as mentioned risked the scrutiny of those who are paying to protect Canada’s medal count. In his early days, Bill James had battles with the Elias Sports Bureau. They refused to provide him with detailed major league baseball data, claiming it was proprietary. In the end, Bill developed a volunteer army called Project Scoresheet to collect what was needed to progress the analytics movement forward. Elias had their reasons for withholding information. They are a corporation and making money is one of the essential pieces to running a successful company. Curling Canada won’t dramatically alter their position in the future, so innovation may have to come from other sources. When progress happens we often regret how far we are to the finish, until we stop and look back on how far we’ve come. There are now several players and coaches quoting on their use of analytics in preparation this past season. Those of us toiling in the data for over a decade may be dismayed we still only have basic information, but acceptance is the first step. No doubt there will be greater opportunities in the coming cycles to push the possibilities. In 2012 I submitted an idea for a curling paper to the MIT Sloan Sports Analytics conference. It got rejected. In 2013, I tried again. This time they agreed and, with help from Gerry I submitted a paper which, among other concepts, examined the even ends theory. It got rejected. Now that Shuster has a gold medal, perhaps next year curling may finally get its opportunity to join the conference. Coaches, teams and even countries are starting to ask Gerry and Jason for more information and how to get started. Others are likely to expand their past efforts or join the fray. As mentioned, Curling Canada could develop a next phase of its analytics program, and other countries are sure to invest as well. Andrew Denny has been writing analytics articles for The Curling News the last few years but perhaps now he’ll have a chance to bring his ideas from newsprint to the ice. Mike Bowling and his team at the University of Alberta have been working on an Artificial Intelligence program for curling, but have lacked the required data and interest. Perhaps with Shuster’s success and the new focus on analytics, we could see a renewed investment (perhaps with help from Google’s DeepMind) to accelerate their work. There is more analysis that can be done even with the data available today. Shooting percentages could be examined further with the ability to link results to the outcomes. Grouping similar teams and factoring strength of opponents with the data is another next step. The real opportunity, however, will come when we have a data pool full of shot information. Eventually we will be able to collect every shot, it’s direction, speed, rotation, eventual location, linked to each game and situation. We’ll be able to determine what Brad Jacobs’ scoring chances are when there are 2 guards and 1 opponent rock above the tee line in a tied game. Brandon Corbett has developed a camera system that can track curling rocks within ¼ inch. As a training aid for the delivery it’s phenomenal, but with a little more development and funding to implement at major events, this system could record everything that happens on the ice, like Second Spectrum does for the NBA today. In the meantime, perhaps a Bill James Project Scoresheet for curling would be possible. CurlingGeek has data available on rock locations, as does the World Curling Federation for many of the major events. Video libraries exist that could be mined for more information, and perhaps Curling Canada would even share its data as well. I understand that several coaches share some information today, such as rock sequence to reduce the effort of having a scout with binoculars in the stands. It’s information that is open to the public and available to all, but just needs to be logged. Could we do the same to record every shot? If there was one application that coaches used to input shot data from their games, would they want to share it in order to get everyone else’s data? I’m skeptical, but there might be a chance. The fear today is the data is too valuable and must be kept secret. Nothing could be further from the truth. At this early stage for curling, the path to greater insight and adoption will only come when information is shared. The way to create and collect the large data pool we need to advance analytics is to have interested parties with the required skills and background working together. The competitive advantage is not the data itself, but from its analysis and how it is put to use on the ice. A quote from the 2018 MIT Sloan Sports Analytics Conference “The toughest thing about analytics is not the math, it’s figuring out the right question to ask”. In curling today, we have so many questions. We only lack the data to answer them. yes, to all those future directions. i'd love to take a crack at analyzing shot by shot data myself. the goal would be to determine, from any position, what the best shot call actually is. it would be crude at first, but then you could imagine building in subtleties that would make it powerful. you'd need a ton of shot by shot data, with tons of scenarios played out to inform your model. early end strategy would be more doable though, since so many of those positions repeat across ends and games. so much in shot selection is done on feel and past experience, but both those things are pretty obviously faulty. i'd wager there are a few things even the best skips get wrong, that just have never been questioned.